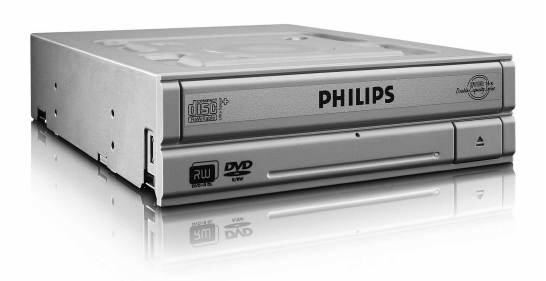 Philips DVDR1660 DVD-Writer features 16x DVD±R, 8x DVD+RW, 6x DVD-RW, 8x DVD+R DL and 4x DVD-R DL writing speeds. The retail drive provides software such as Nero 6 OEM suite with a rebate code for Nero 7 Premium. The Philips burner has a special feature SolidBurn which will automatically check and learn for optimum write and burn strategy on the DVD. CD Freaks reviewed Philips DVDR1600 DVD burner and concluded that overall Philips DVDR1660 is a good drive, that offers some really nice features, making it suitable for both beginners and advanced users.